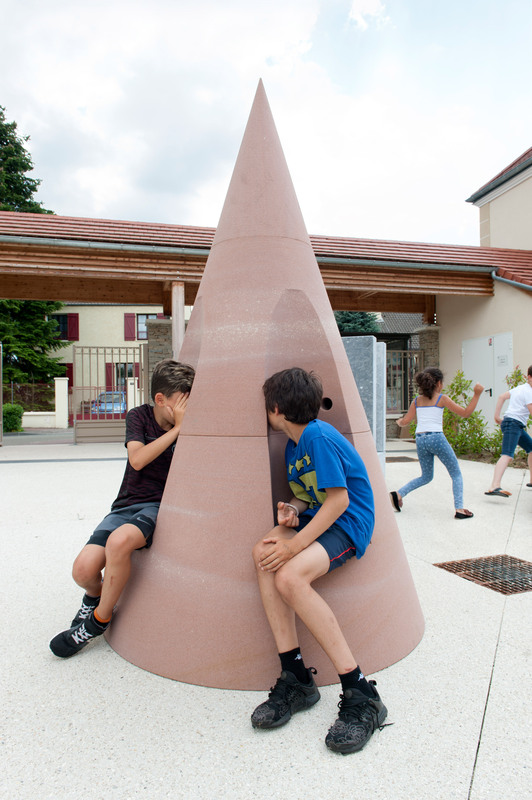 Olivier Vadrot designs sculptural outdoor playground for children - Dr Wong - Emporium of Tings. Web Magazine. 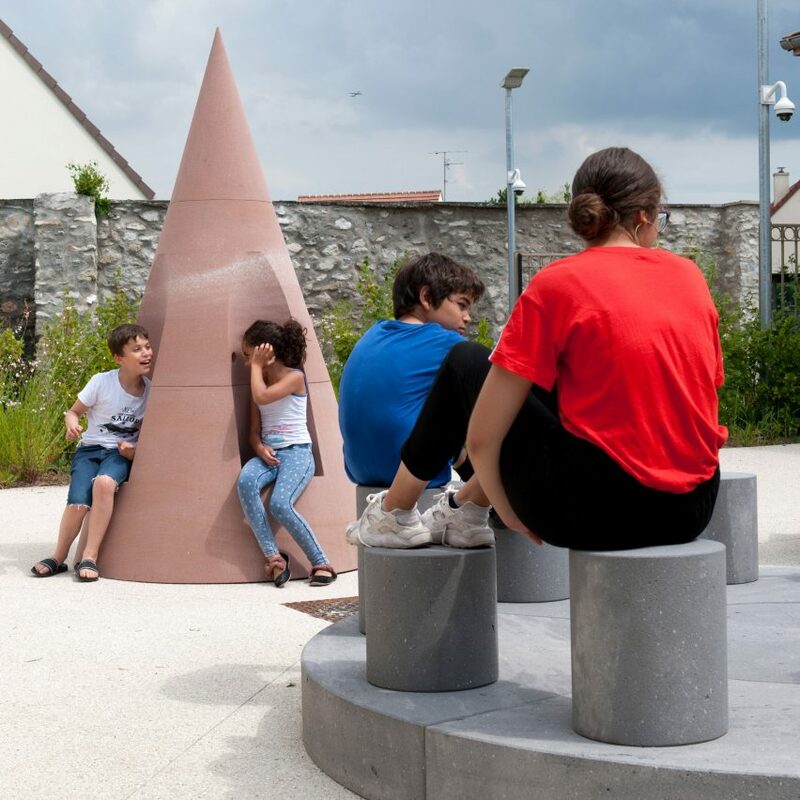 French designer Olivier Vadrot has created an open-air playground made of geometric structures that encourage children to socialise, in the northeastern suburbs of Paris. Located in La Passerelle in the district of Roissy-en-France, the playground features three elements – the Ventriloquist’s Throne, the Pink Cockpit and the Council Seats. Called Conversations, the project aims to offer a special space for children to exchange ideas, tell stories and play. “They oscillate between sculptures and functional objects,” said Vadrot. 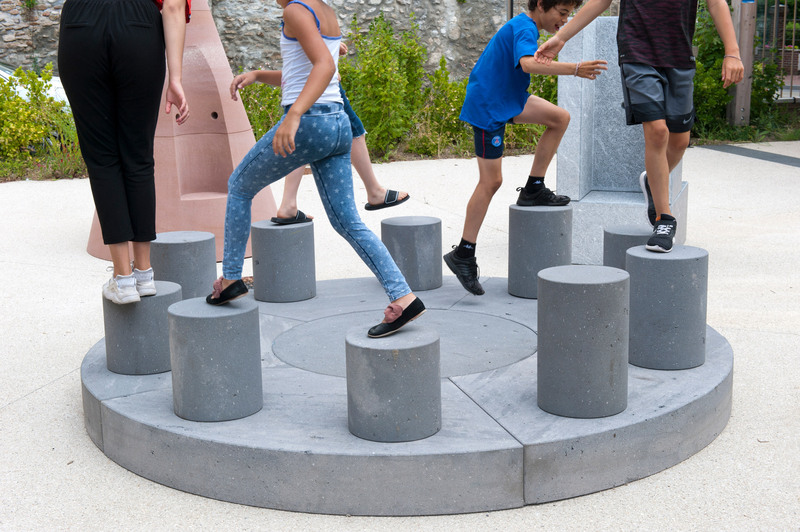 “The idea was to create something monumental and durable that resists time, but more importantly children!” Vadrot told Dezeen. 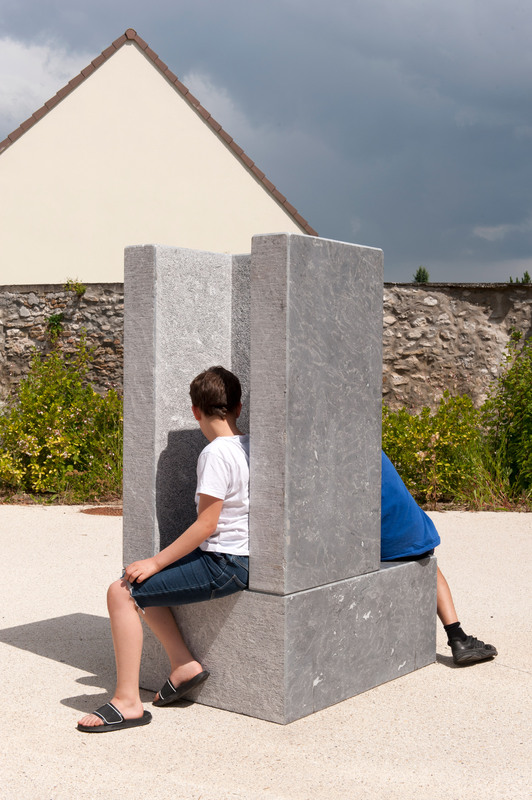 “The resulting monolithic shapes let children climb, run around and hide behind them, as they would do with trees or rocks, but they also invite them to start and stage conversations in different ways, stimulating fictional stories connected to the symbolic shapes of the pieces: a throne, a cockpit, and a council of the wises,” he said. The first structure is the Ventriloquist’s Throne that consists of a double seat divided by a tall, cocooning structure with elevated sides. Made of volcanic stone from the Auvergne region in France, the tall backrest has a five centimetre, circular hole. “Connected by a wide hole, located in the small recess that forms the backrest, the two users are free to exchange their secrets,” said Vadrot. Finally, the Council Seats feature ten cylindrical stools of various sizes arranged in a circle “around an imaginary fire”. “Like a miniature Stonehenge, the latter is a place to exchange ideas, tell stories, debate and play,” explained Vadrot. Other examples of children’s playgrounds include an igloo-shaped installation by Aberrant Architecture and a series of children’s playhouses by Giles Miller. 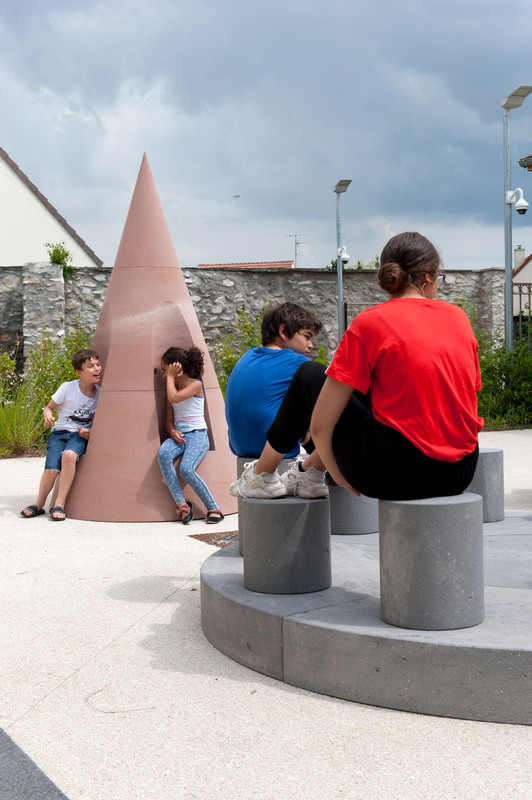 The post Olivier Vadrot designs sculptural outdoor playground for children appeared first on Dezeen.